Productivity.In addition to fast speeds, Ngenuity features smart paper handling and large feeder tray capacity to improve efficiency and ensure that you spend less time hassling with document preparation. Ngenuity's high-capacity feeder tray holds 700 documents - 40 percent more than other scanners in its class - helping you spend more time scanning and less time loading documents. Plus, with an unlimited daily duty cycle and speeds of up to 150 pages per minute (ppm) at 200 dpi in bitonal and color, Ngenuity helps you get more of the high-quality digital images you need - fast. With some components that have been tested to last up to 50 million scans, Ngenuity also offers long-term reliability. The improved Multifeed Ignore feature allows you to accept scanned images and continue scanning or preemptively accept an intended multifeed. The Ignore by Size feature offers additional flexibility by allowing you to scan items such as taped receipts and sticky notes that the scanner might otherwise recognize as a multifeed and stop. Image Quality.SharpShooter - camera technology and reliable LED lights team up to offer picture-perfect image quality and improve processing capabilities. Onboard image enhancement features further optimize image quality without sacrificing speed. Ngenuity's SharpShooter - Trilinear CCD cameras join forces with the scanner's white LED lights to produce high-quality digital images consistently. 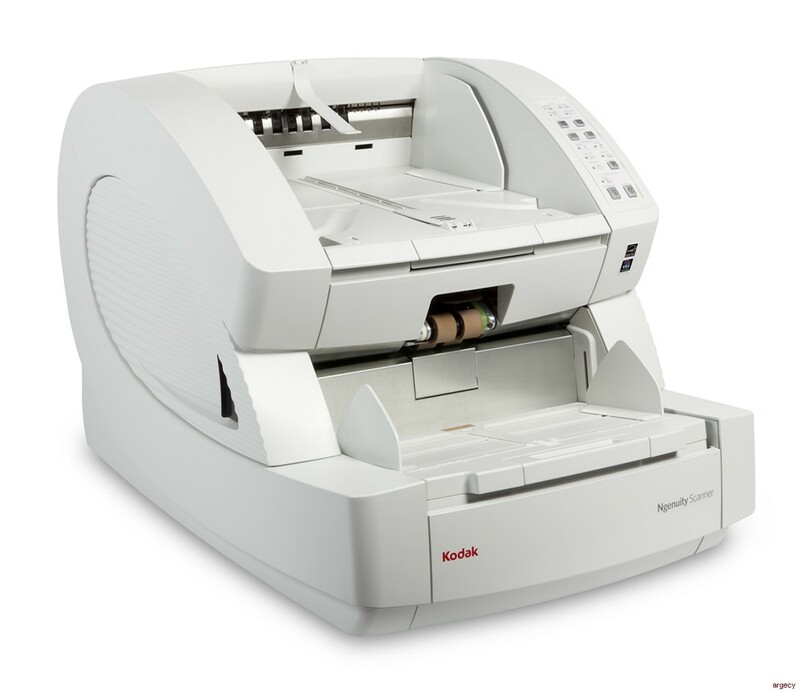 The advanced camera technology delivers 600 dpi optical capture and output, while the white LED lights require no warm-up time, which means they're ready to scan and produce crystal-clear digital images the minute the scanner is turned on. We were the first to include VirtualRescan(VRS) technology onboard our scanners, and we've done it again with Ngenuity. VRS Professional technology is built into the scanner's hardware. This means you get all of the advanced VRS image enhancement features and error resolution tools, including more precise image cropping and advanced color management, which can improve image quality on documents scanned in color, without sacrificing speed. Now, that's true Ngenuity.